Key Topics:FinTech, Digital Banking & Financial Services, Open Banking, APIs, Blockchain, Digital/Virtual/Cryptocurrencies, Artificial Intelligence/Deep Learning/Machine Learning, Big Data, Mobile Tech, Wearables, VR/AR, IoT, Biometrics. Top global FinTech Influencer, Technologist and Digital Nomad, Chris is on a mission to reinvent banking. Former lead of disruptive innovation labs at Lloyds Banking Group, Chris is now CEO and co-founder of reputational-economic startup Secco. Chris regularly speaks and blogs about financial services and is considered a thought leader in FinTech. 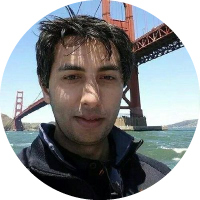 Chris is passionate about disruptive technologies such as Digital Currencies, Blockchain, AI, Biometrics, Internet of Things, Big Data & APIs, Chris lives in South-London with his wife and 2 children. I’ve always been involved in Tech, I studied Computer Science at Uni and was a Technology Consultant at Accenture for many years across multiple industries including banking but I guess the Fin bit properly started in 2012 when I was working as Mobile Architect for Lloyds Banking Group in London. It was an exciting time in banking as mobile moved from novelty to primary customer touchpoint. I started an Innovation role looking increasingly at the future of Financial Services and spent time out in Silicon Valley immersed in the budding FinTech ecosystem out there. I did extensive research, built a huge network and founded an innovation lab specifically focussed on disruptive innovation in financial services. Throughout the journey I found social media to be a valuable online tool and I rapidly progressed from content consumer to content curator to content creator and with it my social media following in FinTech grew. Offline I travelled the world speaking at FinTech events and collaborating on FinTech initiatives. The future of money – The evolution of currency as it changes form, definition and value. Current trends in crypto currencies are clumsy early indications of a much bigger movement around the democratisation of value definition. The future of banks – The ongoing role of banks going forward as value shifts away from Fiat money, particularly around custodians of data and identity and social media integration. Societal impact of the changing financial landscape – The Privacy, Security & Social implications of upending 2000 years of economics, most pressing being the impact on civil liberties of the cashless movement.